I’ve got a secret. The first thing that I do when I get home is get out of my work clothes! And then, I often reach for a pair of Sense pants for comfort. Don’t know Sense? You will when you visit La Fonda on the Plaza and experience the fashionable, comfortable and oh-so-wearable clothing that Sense purveys. Sense clothing flatters every body. Really. Owner Robin Beachner launched Sense in 2005, her line of pants, skirts, tops and jackets in ultra soft, unconstructed fabrics in colors that compliment anything in your wardrobe. Seriously, anything. So many women of all ages, shapes and sizes, stay here or travel through La Fonda that Sense’s commitment to a healthy, active lifestyle, and, sensual and ageless yet sophisticated designs, make the boutique the perfect addition to our already stellar line up of shops. Robin’s pared down Sense’s line to the best of the best styles, and will offer more spa and other options like robes, lounging pants and shawls, when the store opens at the hotel at the beginning of March. And everyone needs a little shrug or jacket to ward off the chill of Santa Fe’s mornings and evenings. Besides, who doesn’t want to be comfortable when working out, jogging or jaunting around town, but also still look stylish? No one, that’s who. I even know some people who sleep in the yoga pants and t-shirts or tanks! So if your sensibility is such that you want to wear clothing that looks good, travels and packs well, washes up like a dream, and frankly, you never want to take off, Sense makes sense. Come visit and see for yourself how stylish and comfy Robin’s clothes are. Our new collection has arrived, just in time for Spring. 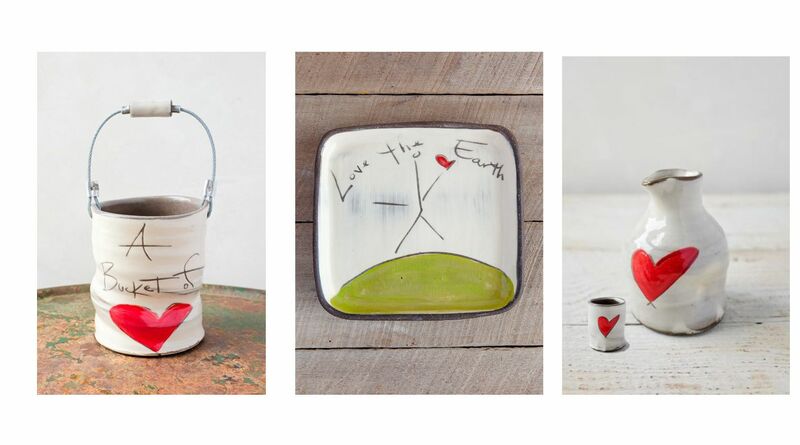 This month we are featuring 2 ceramic artists, Eric Hendrick and Noelle VanHendrick, who have been creating together for over 17 years, making cups of love and buckets of peace, for humanity. They throw every piece by hand, then decorate each one with slip, or liquefied clay, to create a textured, one-of-a-kind surface. 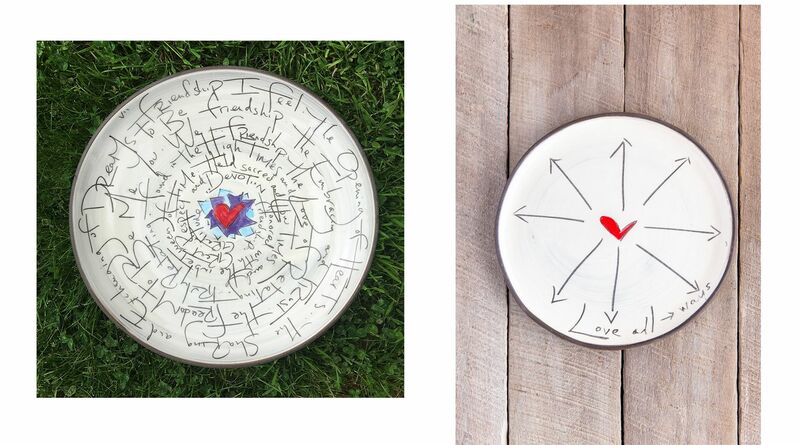 The pieces are adorned with Noelle's words and images that gently remind us we belong and are in this world together. 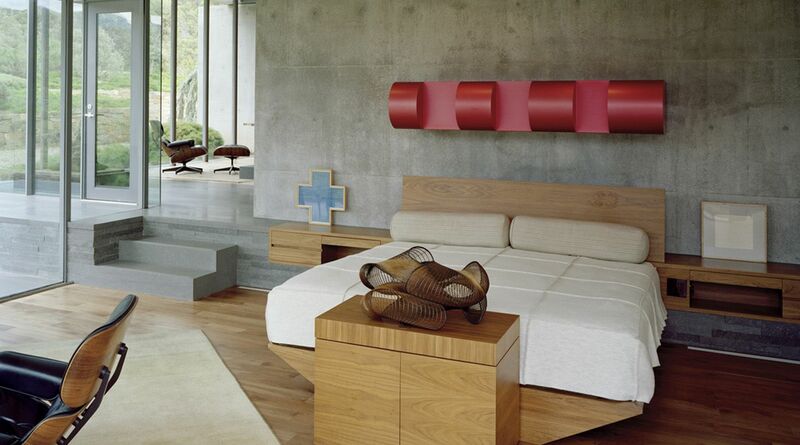 Visit our website or or call 505-988-1404. 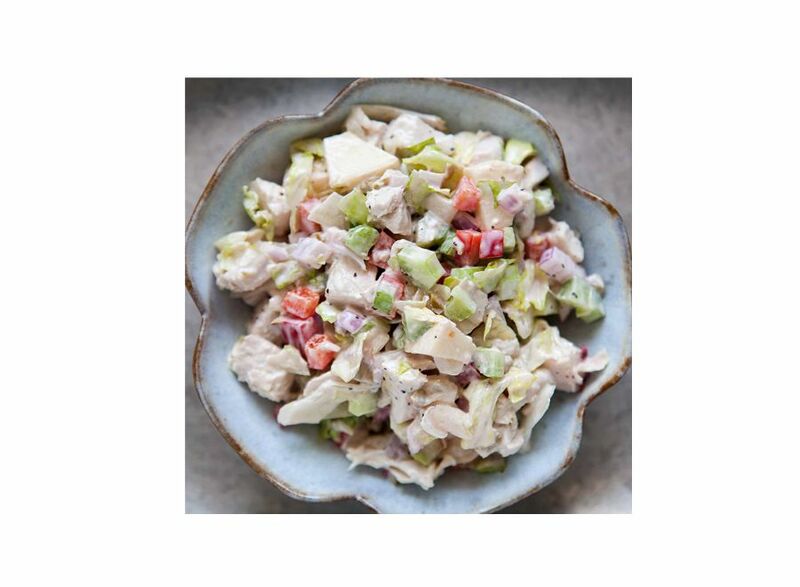 Believe it or not, warmer weather IS coming soon, so thoughts of spring-like dishes like Ethel’s Chicken Salad is really the perfect go-to chicken salad for sandwiches or on top of a green salad. You could easily add crumbled bacon, or grapes, or cashews, or even mix in a little chile or curry powder to the mayo for a bit of a bite. And, if you want to lighten it up a bit, try going half and half with yogurt and mayonnaise. 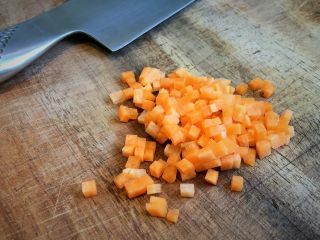 8 ounces red onion, brunoise (A knife cut in which the item is first julienned and then turned a quarter turn and diced again, producing cubes of 1/8-inch dice). Grill the chicken breast, cool and dice medium. Add the raisins, mayonnaise, pecans, cilantro and diced ingredients in a large, non-reactive bowl and mix well. “I feed on the crowd’s energy,” she says. “So what happens each night depends on the crowd. 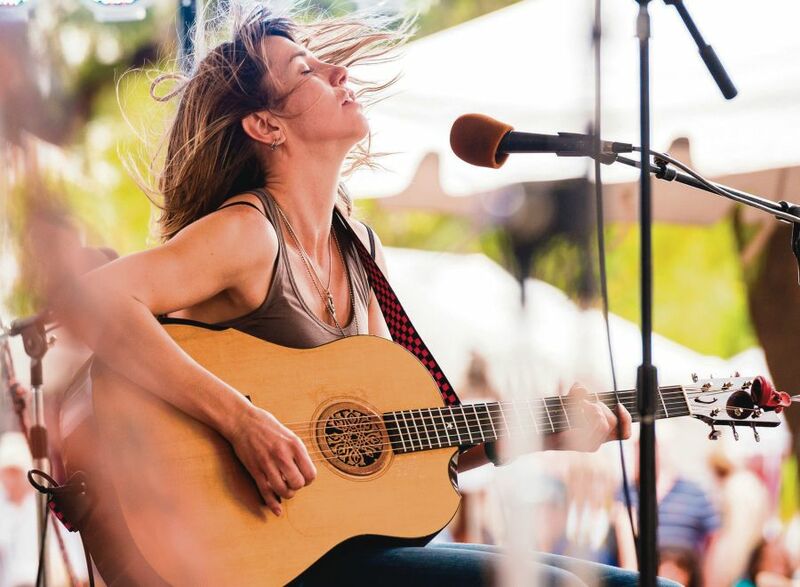 If they want to dance and sing along, I go with it with some catchy original songs and covers.” Originally from Galena, Il, she joined her parents on their Southern New Mexico horse ranch for a while, then began touring around Northern New Mexico to support her snowboarding habit. 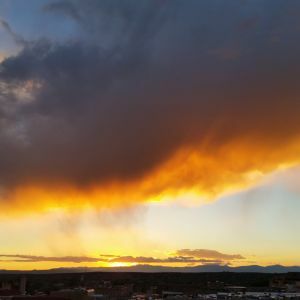 She considers Santa Fe her second home. 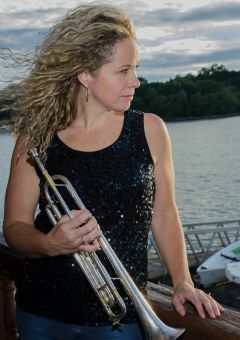 Her dad’s guitar playing inspired her as a child, and she quickly added drums to her repertoire, which now encompasses ukulele, hi hat and looping pedals. And it’s easy to develop a love affair with Tiffany’s songs and live performance. Besides being gorgeous, her fantastic musical world brings together smart vocals, impressive musicianship and powerful arrangements that make you want to dance and, at the same time, ponder life’s meaning. 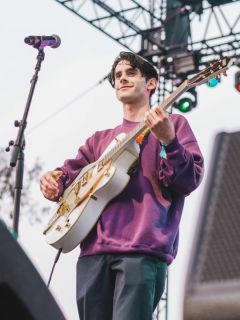 Armed with a plethora of instruments, Tiffany shows her musical mastery by using her voice in different ways, too – singing, beat boxing, rapping – while playing multiple instruments with ease. 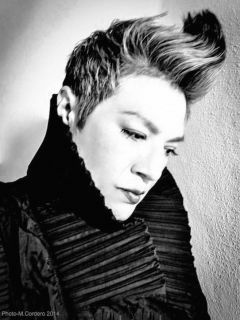 Check out her website: tiffanychristopher.com for a taste of the musical magic she’ll bring to La Fonda’s La Fiesta Lounge (March 20). 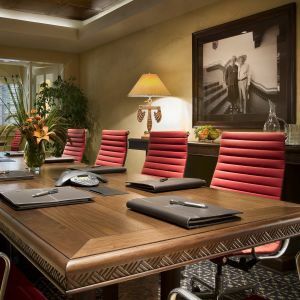 Santa Fe is making it easy to plan your family's much needed Spring Break vacation. 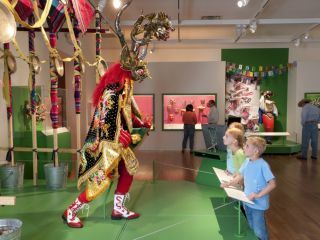 From March 1 through April 21, take advantage of great “kids are free” deals in Santa Fe—from lodging, food, arts, culture, and other kid friendly attractions. 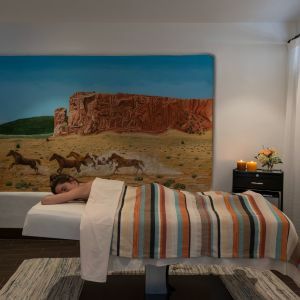 Plus, La Fonda has its own kids stay and play free adventure that includes complimentary breakfast and tickets to top attractions Meow Wolf and the Harrell House Bug Museum. Book your stay now and start exploring the Kids Free Spring Break specials today. 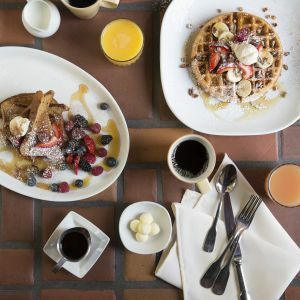 You still have a couple more days to take advantage of bargain-priced prix-fixe menus from some of Santa Fe’s best restaurants during Restaurant Week (through Mar. 3). Offerings include a dynamite $45 prix fixe dinner at La Plazuela from Chef Lane that features your choice of starters, entrees and desserts! 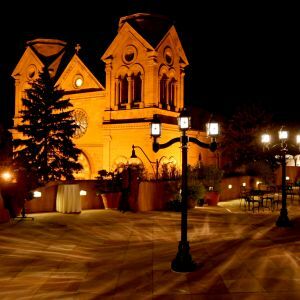 La Fonda On the Plaza is chuffed to be the elegant venue for this year’s ARTsmart Dinner & Auction to support art in schools (Mar. 2). 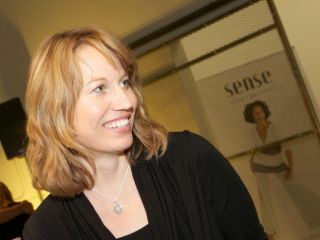 The event features Honorary Artist Heidi Loewen, ceramics artist and gallery owner, and special guest Katarina Pittis, ARTsmart’s 2014 Art Changes Lives Scholarship winner and photographer/videographer. Enjoy great food, great friends, and fun with the live and silent auction. 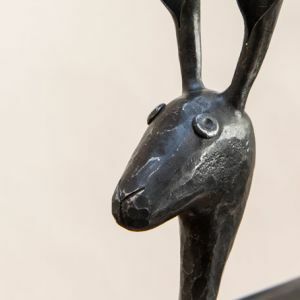 Then lace up your boots for the Art of Home Tour to see how some of Santa Fe’s best art galleries have filled homes listed in Santa Fe county with beautiful artwork for you to enjoy on this self-guided tour (Mar. 2-3). 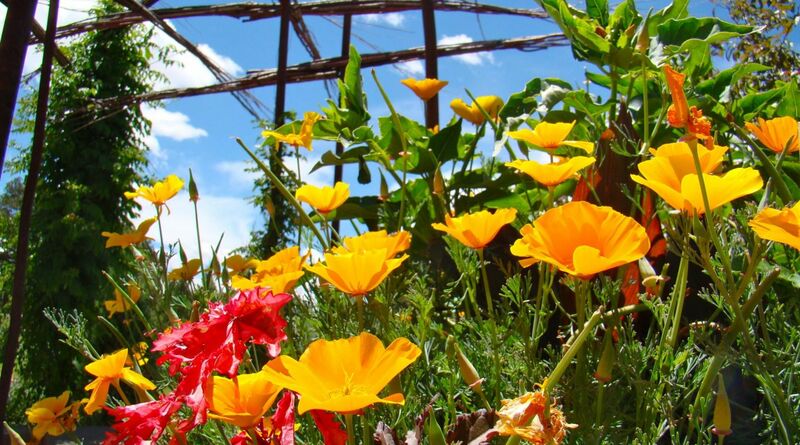 Celebrate the first day of spring at the Santa Fe Botanical Garden’s annual community day since the garden is free for New Mexico residents and students (Mar. 20). See the Out & About section for a list of classes that begin this month, too. 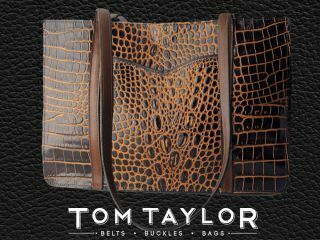 It’s March Madness at Tom Taylor. 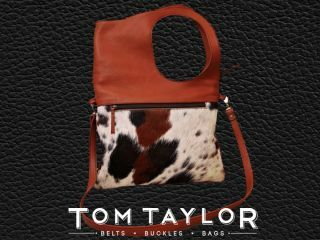 March Handbag Madness! We’ve got a handbag obsession and this is our favorite time of year, with new Spring styles arriving almost daily. From the trendiest new box styles to micro “croc-effect” satchels, these “It” bags aren’t only the talk of Santa Fe, but ones you’ll be seeing everywhere this Spring. 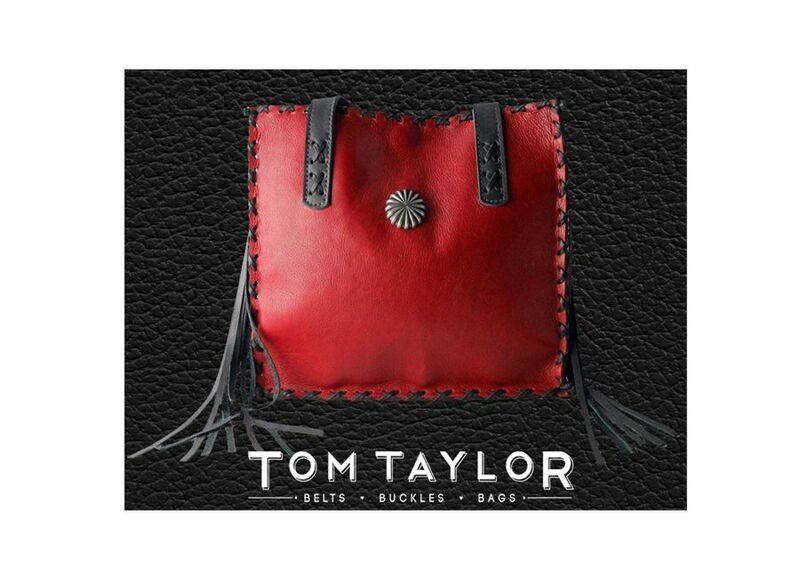 Stop in and see the latest designs here first, or visit us online at Tom Taylor and subscribe to their newsletter for a personal invitation to their April Inventory Clearance event. Visit them in La Fonda on the Plaza or call us at 505-989-9540. 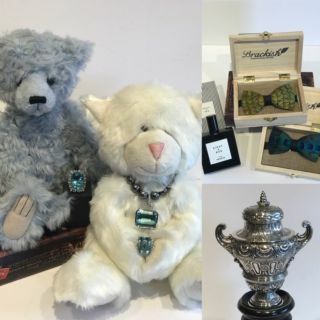 With two locations inside La Fonda on the Plaza, Things Finer offers the best in fine antique and estate jewelry, silver, gifts, and accessories. 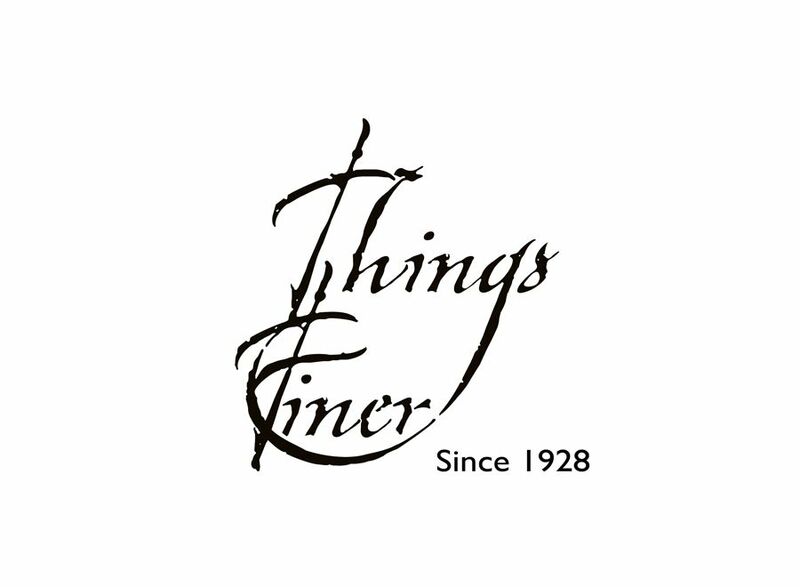 Trusted for over 4 decades, Things Finer has purchased, appraised and sold lovely items to gift every taste and budget. 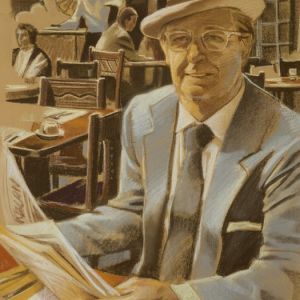 They are proud to be a long lived part of La Fonda’s retail community! Things Finer. 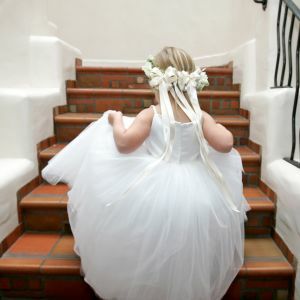 Call 505-983-5552 or visit our website below. Everyone’s favorite " deep V weekend tee!" 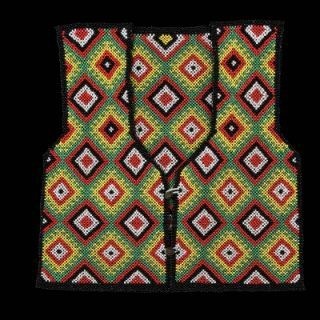 at 40% off using discount code MARCHGIFT at check out with this item. Offer is good online or in store for all walkin's on this FAB top. Offered in black and white. 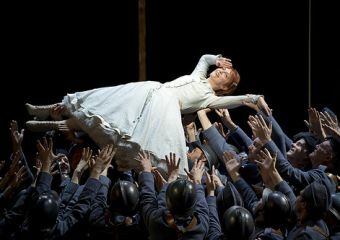 The Lensic kicks off March with the Met Live in HD opera series and La Fille du Regiment (Mar. 2) and ends the month with Wagner’s Die Walkure (Mar. 30). 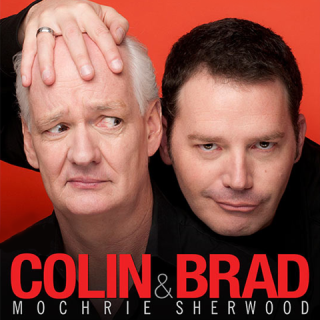 Or laugh until your sides ache with self-described world’s funniest improv show, featuring the comic stylings of Brad Sherwood and his addle-brained sidekick, Colin Mochrie (Mar. 15). 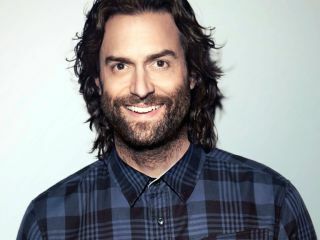 You’ll barely have time to recover before one of the most sought-after comedians in the country, Chris D’Elia, takes the stage (Apr. 5). 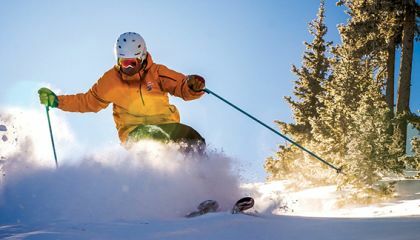 The outdoors come to the silver screen during the Banff Centre Mountain Film Festival World Tour sponsored by the Santa Fe Conservation Trust and La Fonda (Mar. 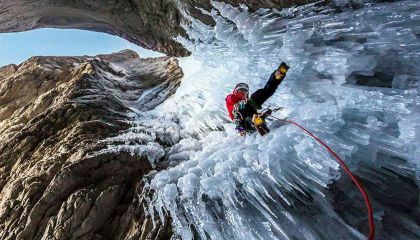 11-12), lauding the spirit of outdoor adventure and mountain culture. The Lensic’s Great Art on Film series continues with Caravaggio: The Soul and the Blood (Mar. 18), exploring the life, works and struggles of the Italian master Michelangelo Merisi di Caravaggio. Do you believe in magic? 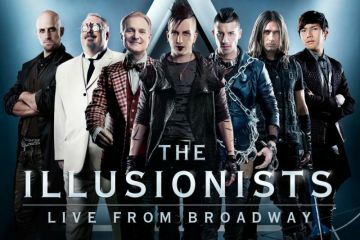 You will when The Illusionists Live from Broadway arrives (Mar. 20) for a mind-blowing spectacular of jaw-dropping, outrageous and astonishing illusions. If magic’s not your thing, maybe ukulele is. 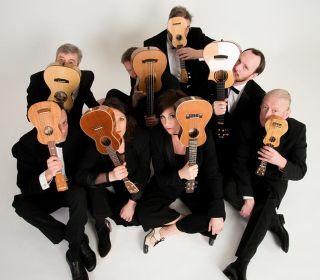 Because George Hinchliffe's Ukulele Orchestra of Great Britain is a global sensation providing pure entertainment, deadpan British humor, and irresistible, foot-tapping music (Mar. 24). Just Say It Theater’s production of The Big Heartless, a new play written by Dale Dunn and directed by Lynn Goodwin follows Mac, a reclusive wildlife biologist, who has retreated to the backwoods of Montana to lead a hermetic lifestyle but tolerates interruptions from his neighbors and family (through March 3. Ironweed Productions’ upcoming show, Hidden Treasure: A Georgian Immigrant's Story (Mar. 7-17), recounts playwright Ketevan Kharshilze Ussery’s remarkable journey immigrating to the United States from Georgia. Santa Fe Playhouse welcomes Trevor by Nick Jones, inspired by true events (Mar. 14-31). 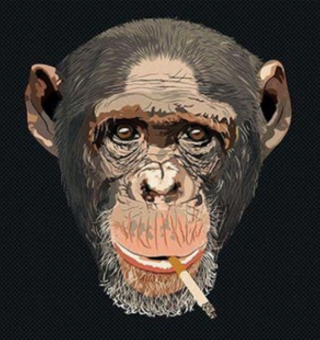 At the center of this hilarious and heart-wrenching play are two individuals fighting against a world unable to understand their love: Trevor, a 200-pound chimpanzee, and his owner Sandra. 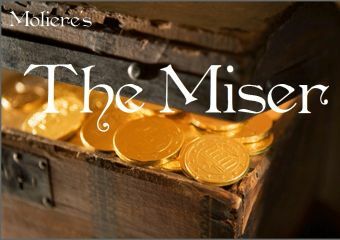 Moliere’s 1668 play The Miser gets a reboot from Oasis Theatre Company (Mar. 21-Apr. 7), with plots, treasure hunts and French comedy in a world premiere translation by David Carter. 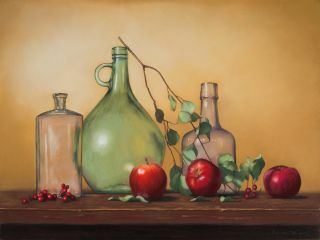 The Pastel Society of New Mexico’s 27th Annual National Pastel Painting exhibition offers free admission and a chance to see some exceptional artists working in pastels from around the state, country and world (Mar. 1-31). Santa Fe Botanical Gardens welcomes the imminent arrival of spring with classes! First, pruning young fruit trees (Mar. 2), then learn how to graft a fruit tree (Mar. 9). Or you could develop your own landscape site plan (Mar. 2, 9 and 16) in a hands-on workshop, or hear about how a multidisciplinary design studio transforms innovative landscapes (Mar. 14). A nine class wetlands ecology focused course will teach you all you’d want to know about these important areas (starts Mar. 5). 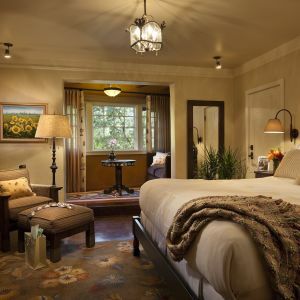 Eco friendly travels are the topic (Mar. 16) with guest author Ashley M. Biggers. 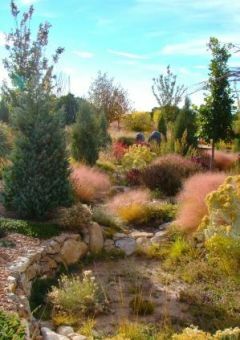 Then dig into Santa Fe landscaping from the ground up (Mar. 23), and the family program Growing Together in the Garden (Mar. 23 & Mar. 30), which includes making seed dumplings and masterful mazes. 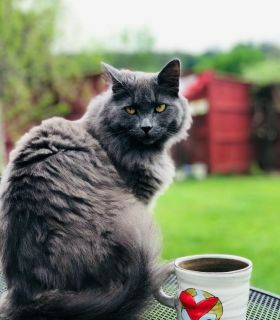 Then come drink and learn all about tea in the Garden to Mug class (Mar. 24). 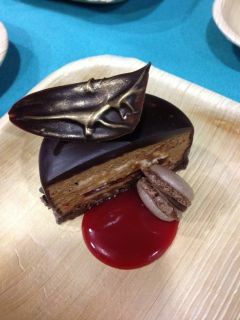 The annual Divine Decadence Chocolate Challenge (Mar. 15) means two things: tasting deliciously decadent chocolate creations from some of the area’s best chocolatiers, and raising money for a good cause. 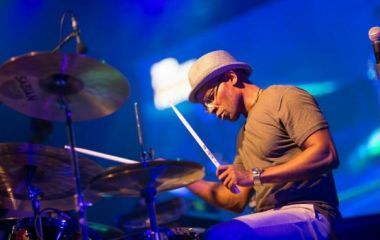 This is La Familia Medical Center’s annual fundraiser, with champagne, hors d’oeuvres, music and a silent auction that all benefit patient programs and services. 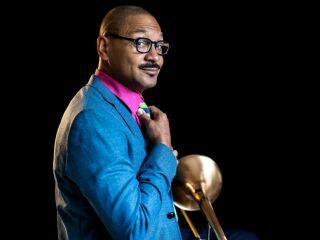 Performance Santa Fe brings trombonist Delfeayo Marsalis with The Uptown Jazz Orchestra (Mar. 1). 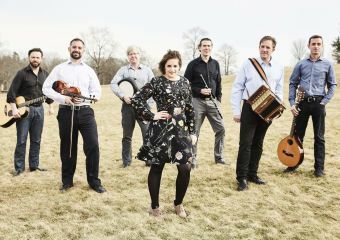 Then they welcome Irish musicians Danú for beautifully crafted vocals in both Irish and English (Mar. 7). 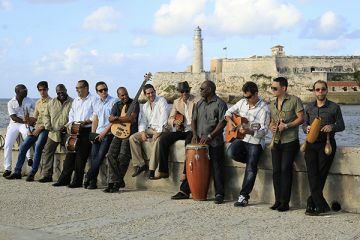 Cha-cha, rumba and salsa your way to Havana Cuba All-Stars: Asere! 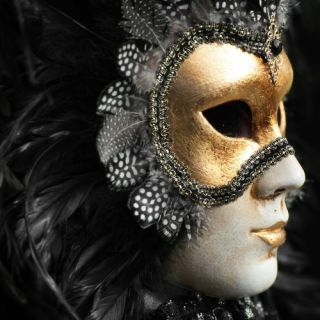 for an evening of music AND dance (Mar. 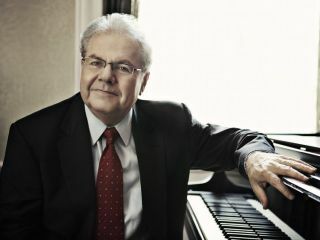 29), before reveling at the piano genius of Emanuel Ax, a seven time Grammy winner (Mar. 31). 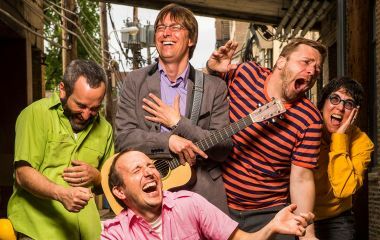 The Lensic’s free Family Fun Day features the Grammy nominated music and fun of Justin Roberts & the Not Ready for Naptime Players (Mar. 3). Wouldn’t the world be better if we all just took a nap? Then feel the passion and heat of Cuba with Malpaso Dance company and their original choreography (Apr. 2). 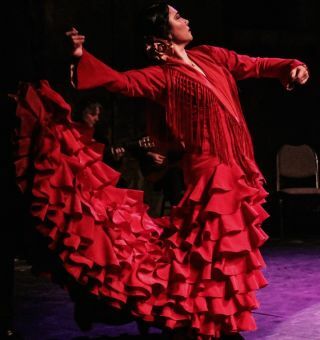 The Santa Fe-based, world-renowned flamenco group, Compañia Chuscales y Mina Fajardo, perform at Teatro Paraguas with their flamenco students in their Flamenco Fiesta 2019 Spring Student Recital and Sevillanas contest, promising two evenings of exciting dance, guitar and cajón (Mar. 22-23). 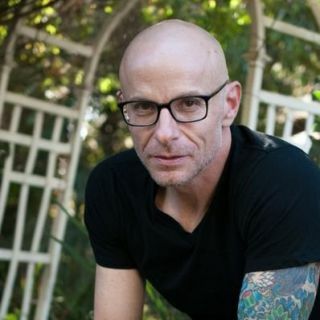 At SITE Santa Fe, catch the world premier of Montage Music Society’s Transforming Forest, inspired by Andy Goldsworthy’s Presidio Installations, a new work by composer Nell Shaw Cohen (Mar. 1). Return the next night for jazz vocal sensation Christine Fawson giving jazz aficionados another opportunity to hear her amazing talent, this time in a tribute concert to one of her mentors, the great Nancy Wilson (Mar. 2). Chatter also returns to SITE for another chamber music program that includes a reading by a poet/speaker (Mar. 9). Join Santa Fe Pro Musica for Music without Borders (Mar. 9-10), a concert that transcends boundaries, featuring Colombian born conductor Lina Gonzalez-Granados and Christine Lamprea on cello. Santa Fe Youth Symphony Association students will come together to perform in a collaborative musical showcase (Mar. 14). 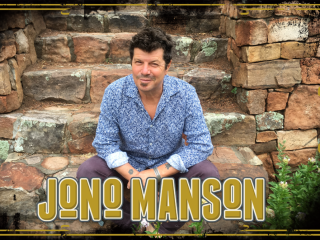 This third annual 90-minute concert features students from the Jazz, Mariachi, Orchestra, and Con Vivo programs, as well as local artists Nacha Mendez (2018 Platinum Music Award winner and La Fiesta performer March 30) and Jono Manson. Santa Fe Symphony Chorus is back for an afternoon of choral masterworks (Mar. 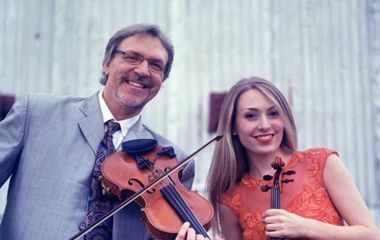 3), while the Symphony presents a concert featuring Adams, Mozart and Dvorak (Mar. 17), joined by Drew Peterson on piano. AMP Concerts has a March to remember with poly-musical La Dame Blanche (Mar. 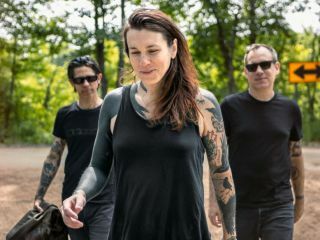 1), and Laura Jane Grace & the Devouring Mothers (Mar. 19), both at Meow Wolf. Hipster alert! 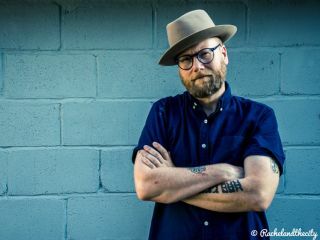 Also at Meow Wolf is the triumphant return to New Mexico of Mike Doughty, playing Soul Coughing’s Ruby Vroom (Mar. 26). 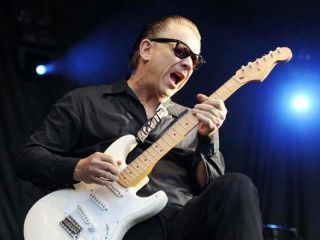 AMP’s also making waves by presenting An Evening with Jimmie Vaughan (Apr. 3). 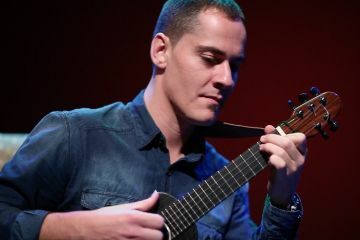 Far more than just one of the greatest and most respected guitarists ever, Vaughan is a vital link between contemporary music and its retro cool heritage. Meow Wolf’s also got some other cool shows, too. Opiuo (Mar. 2), Haywyre (Mar. 4), Tone Ranger with Sky Civilian (Mar. 7), Jantsen and Digital Ethos (Mar. 8), Low (Mar. 9), Bane’s World (Mar. 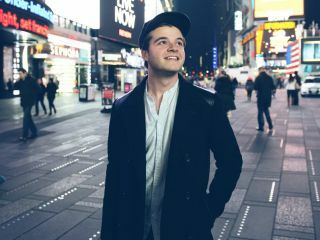 10), Watsky (Mar. 12), Yheti (Mar. 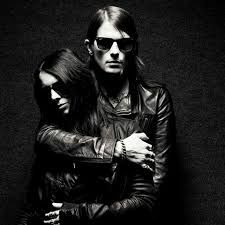 14), and Cold Cave (Mar. 15). The second half of the month includes Chris Lake (Mar. 16), Her’s with the Undercover Dream Lovers (Mar. 24), Rayland Baxter (Mar. 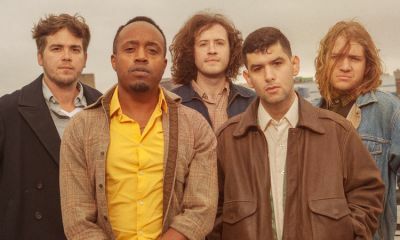 25), and Rubblebucket (Apr. 1). 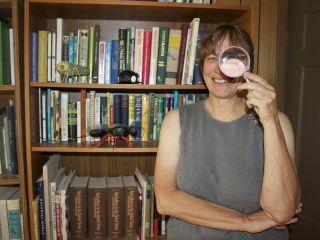 The Georgia O’Keeffe breakfast series continues with From Glaciers to Abiquiu to the Galaxy: Non-Linear Research (Mar. 6). Artist Nina Elder travels to some of the most environmentally impacted, geographically distant, and economically important places on the globe where she researches how the natural environment is changing through human-centered activities. This presentation weaves together unlikely associations between piles of rocks, military secrets, climate change, obsolete communication technology, New Mexico landscapes, meteorites, and the need for curiosity. 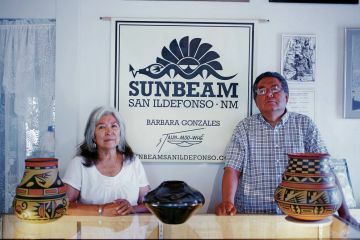 The Museum of Indian Arts and Culture invites you to a Pueblo pottery demonstration with Barbara and Cavan Gonzalez of San Ildefonso Pueblo (Mar. 13). Both are talented potters. 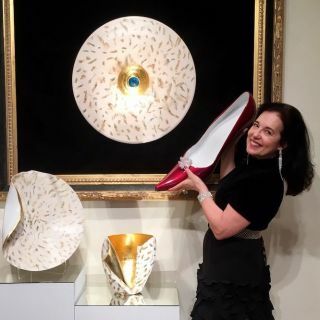 Barbara is an extension of her famous great-grandmother, Maria Martinez, who personalizes her pottery, described as "slipped-designed polychrome" with inlaid coral and turquoise on etched black and sienna wares. 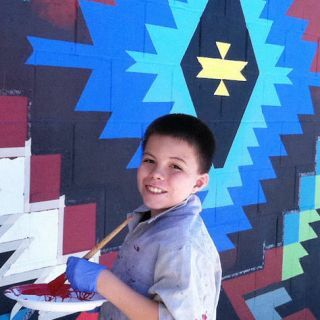 Cavan is a leader in the polychrome revival at San Ildefonso Pueblo, and Maria Martinez’ great-great-grandson. Interested in beads, beadwork, gems and minerals? Head to the Santa Fe Community Convention Center for The Whole Bead Show (Mar. 15-17). Free admission means you’ve got more money to spend on classes and all the supplies you’ll need to create your own beautiful works of wearable or displayable art! 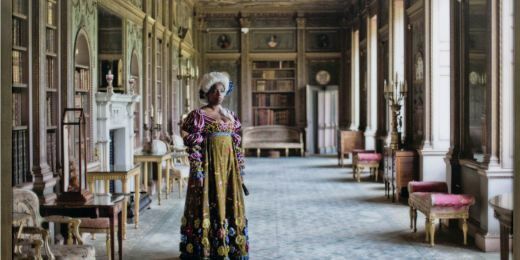 SITE Santa Fe opens Bel Canto: Contemporary Artists Explore Opera, an exhibition that examines themes of race, gender and class within the stories, traditions, architecture, and music of opera (Mar. 16-Sept. 1). The first large-scale exhibition of its kind, Bel Canto will engage opera aficionados and novices alike, offering unexpected glimpses behind the scenes and deep into the cultures and histories that have influenced this iconic art form over the years. 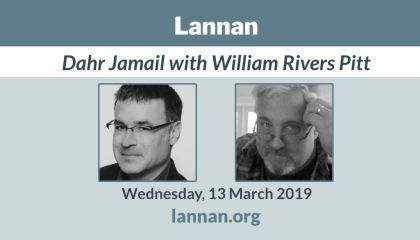 Lannan Foundation presents Dahr Jamail with William Rivers Pitt as part of its Readings & Conversations series. 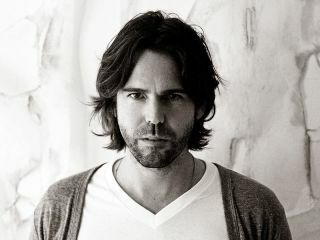 Jamail is an investigative journalist reporting on climate disruption, and Pitt an author and editor (Mar. 13). 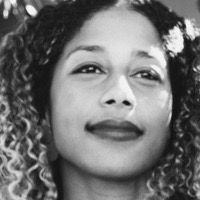 Then return for Edwidge Danticat in conversation with Aja Monet (Mar. 27). 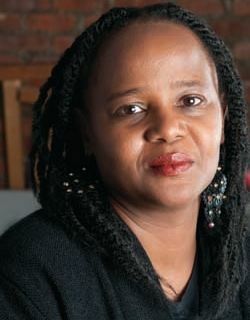 Of Danticat’s recent The Art of Death: Writing the Final Story, the New York Times wrote, “This book is a kind of prayer for her mother – an act of mourning and remembrance.” Aja Monet is a poet, activist, and musician and was a featured speaker at the recent Women’s March on Washington. Join artist Jo Whaley and entomologist Linda Wiener for a discussion titled Inspired By Insects, of Whaley’s artwork featured in her book The Theater of Insects (Mar. 12). 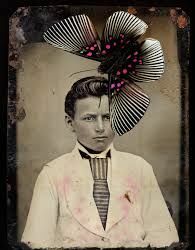 Whaley’s work is collected and shown internationally, most recently at the Henry Fox Talbot Museum in Great Britain and the Museum of New Mexico, Alcoves Series. 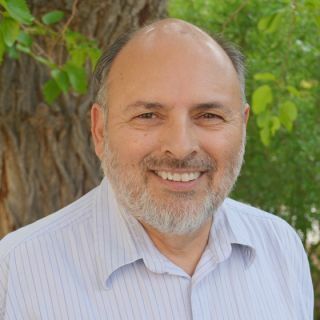 Wiener is currently a tutor at St. John’s College and works with conservation organizations and organic farmers..
School for Advanced Research welcomes the public to an advanced seminar presentation, Shifting Terrain of Citizenship Among People of Mexican Origin in the United States (Mar. 13), with Phillip Gonzales, Professor, Department of Anthropology, University of New Mexico and Renato Rosaldo, Professor Emeritus, Department of Anthropology, New York University. 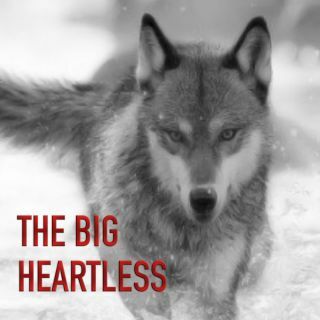 Hear anthropologist and award-winning Ojibwe author David Treuer discuss his newest book, The Heartbeat of Wounded Knee at St. John’s College (Mar. 14). An exploration of Native America from 1890 to the present, the book uses extensive interviews and storytelling to redefine the narrative concerning indigenous history and contemporary life. 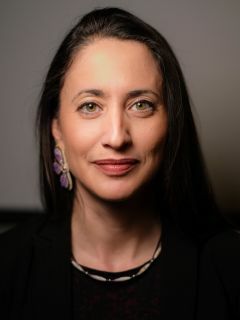 Elizabeth Hoover explores traditional food practices in Native American communities and the impact of environmental studies on modern food production (Mar. 21) in From Garden Warriors to Good Seeds: Indigenizing the Local Food Movement. Hoover’s community-engaged research at Brown University examines issues of environmental justice, indigenous farming, and subsistence revival movements.